To establish OrthoSport, Inc. as a dynamic leader in comprehensive physical rehabilitation as well as Sports Performance Training. To accomplish this mission, we will be working to provide our clients with the following: To provide a clean, caring, friendly and professional environment. To deliver personalized service with emphasis on providing the highest quality of care available. To meet the needs of each client with professional and cost effective service and instruction. To assist each client with a cost effective and individualized program designed to attain the best functional outcome possible. 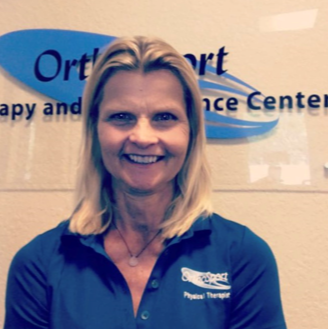 Nancy has over 30 years experience as a physical therapist, and holds a Doctor of Physical Therapy degree from Nova Southeastern University. She is the founder, president and co-owner of OrthoSport Therapy and Performance Center, which originated in 1998. She is on the board for Kaiser College and has been an active member of A.P.T.A since 1988. Dr. Croughwell has been a clinical instructor since 1989 and holds a certification in Manual Therapy (MTC). Dr. Croughwell also works as an Expert Witness. She has developed the manual skills and the knowledge required to treat all types of injuries and implement personalized programs designed to enhance your rehabilitation and Sports Performance Training. ​Howard has been a physical therapist since 1998. He holds a Masters and Doctorate degree in Physical Therapy from Nova Southeastern University and a Bachelor's degree in International Business from Florida Atlantic University. He is the co-founder and co-owner of OrthoSport Physical Therapy and Performance Center. Howard was a physical therapist at the London 2012 Olympics for the men’s and women’s basketball competition. He is an adjunct professor and College of Health Care Sciences Board Member at Nova Southeastern University. Howard is an APTA member and a former FPTA board member. Howard further holds certifications as a USAT Triathlete Coach, Certified Kinesio Taping Practitioner, Certified Weight Trainer and additional training in orthotic fabrication.